BCA and Car Dealer Magazine are combining to offer a special entry of 31 cars that recently competed in the annual Bangers4BEN fundraising event. The challenge was to complete a sponsored trip to the FIAT factory in Turin and back in a car costing no more than £750, with all proceeds going to BEN – the Motor Industry’s Benevolent Fund. 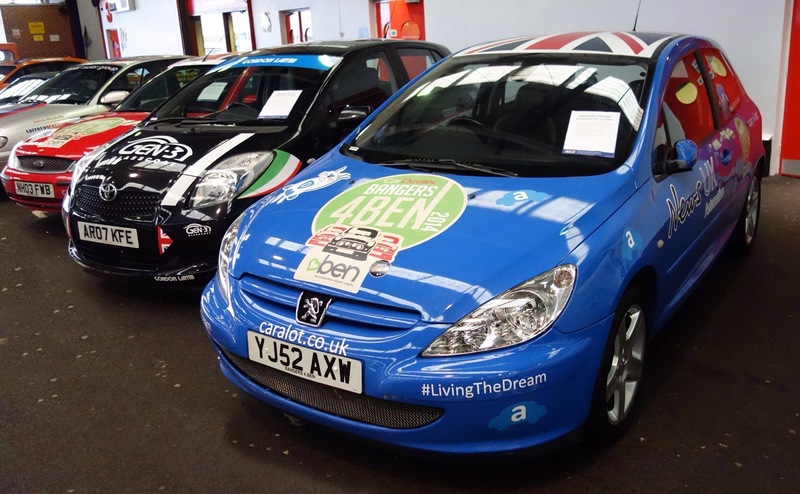 The cars – fresh from their four days on the road– were all donated by the various teams participating in Bangers4BEN and BCA is selling them free of charge and donating the buyer’s fee to ensure the maximum amount is raised for the charity. This entry was posted in automotive, BEN and tagged BCA, BEN, Car Dealer Magazine, chrismacgowan, christopher macgowan. Bookmark the permalink.